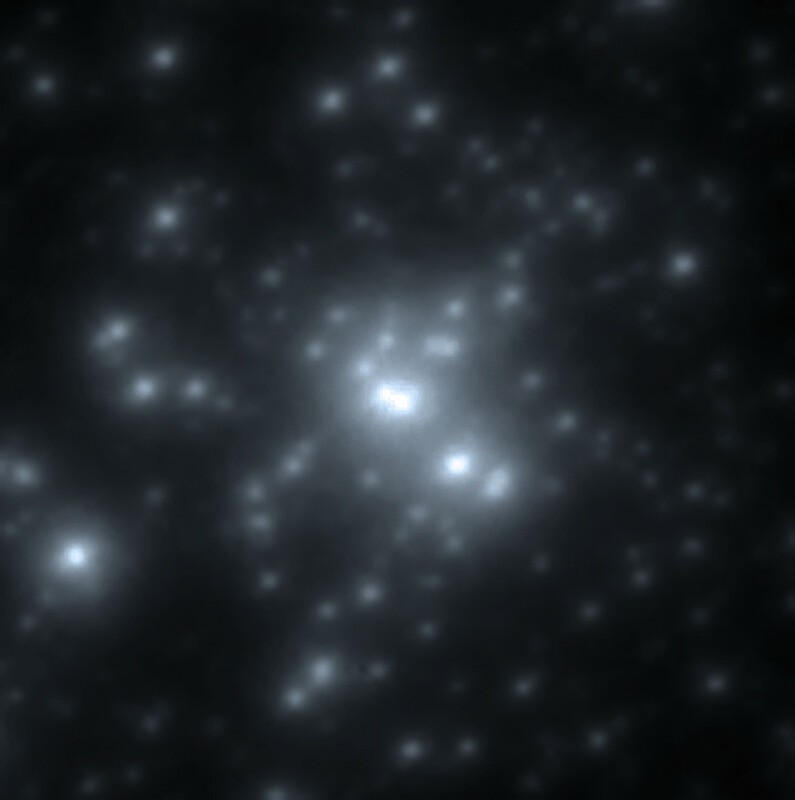 A new near-infrared image of the R136 cluster, obtained at high resolution with the MAD adaptive optics instrument at ESO’s Very Large Telescope, provides unique details of its stellar content. At birth, the three brightest stars each weighed more than 150 times the mass of the Sun. The most massive star, known as R136a1 and located at the centre of the image, has been found to have a current mass of 265 times that of the Sun. It also has the highest luminosity, close to ten million times greater than the Sun. Position (Dec): -69° 6' 0.41"